Before the farm had a name, it had a house with a cupola on top. "Oh right, the cupola house" people would remember us by. So the Keller family replied yep, "the Cupola House Tree Farm" and the name stuck. In 1987 Jim Keller boldly planted the first 6,000 tree seedlings. 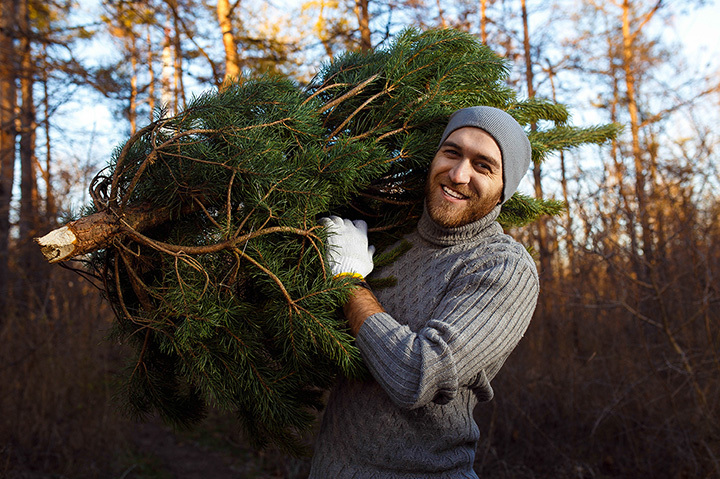 The first of those trees began to be sold in the 90's and the overall number of trees being grown quadrupled. By the 2000's Cupola House Tree Farm was growing into a mature mixed growth tree farm with a greater diversity of species than ever. Today Cupola House Tree Farm is multi-generational, with Ben Keller operating the business and farming alongside his parents Chris and Jim. Ben's wife Betsy lends her tree science knowledge as a biology instructor. Son/grandson Willie is Chief Pinecone Officer (CPO) and the dog is Senior VP of Rabbit Chasing. We love the land we farm because it's our home too. The entire Keller family welcomes you here because we believe in the goodness of sharing a family farm experience during a time of year when it matters the most.